The next legislature and governor must resolve a $3.7 billion budget shortfall over the next four years and it must be done without making long-term economic stagnation even worse. And that’s just one of several major challenges facing whoever is elected in November. Kansas Policy Institute does not support or oppose candidates for public office, but we do provide educational information to the public about key economic and education issues facing Kansans. Our 2018 Voter Issue Guide is intended to arm readers with facts and key questions to consider so each reader can be better informed on the issues. This article provides a deeper examination of the economic stagnation challenge, which is the fourth of five issues covered in the 2018 Voter Issue Guide. The previous installments discussed the $3.7 billion budget shortfall, improving student achievement and making school spending more efficient and effective. 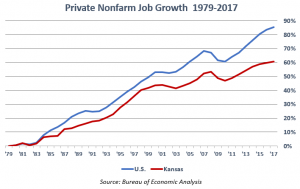 Kansas is in its fourth consecutive decade of economic stagnation and is falling farther behind the nation in jobs and economic growth. Private sector Gross Domestic Product (GDP) began lagging the nation in the late 1980s and the gap rapidly widened in the 2000s. 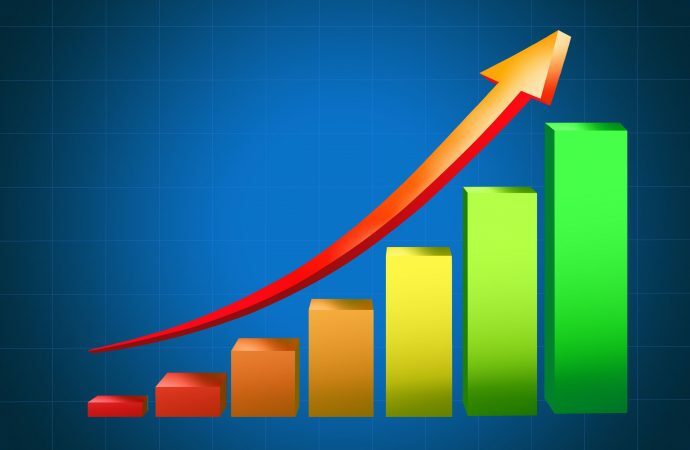 Kansas performed at 48 percent of the national average in 2017, with private sector GDP growing at just 2.1 percent versus 4.3 percent nationwide. Only two years (1986 and 2004) have seen worse performance compared to the national average since 1979. Private nonfarm job growth has followed a similar pattern. Kansas grew at just 0.5 percent in 2017 while the nation grew at 1.2 percent, widening a gap that became progressively worse starting in 2003. Not coincidentally, state tax collections have far outpaced inflation since 1995, with the gap exploding beginning in 2004. The most current government estimate shows tax collections of $6.95 billion for the current fiscal year will be $1.9 billion higher than the inflation-adjusted level since 1995. That out-sized tax growth was used to pay for spending that’s also running far above long-term inflation, but as explained earlier, there is still a $3.7 billion revenue shortfall over the next four years due to a huge education spending increase. Some degree of taxation is necessary, but taxes always have a net negative effect on economic growth; like any other cost increase incurred by people and business, a tax increase leaves less money to grow the private sector economy. This basic economic principle is evidenced in a comparison of states with disparate tax burdens. According to the Bureau of Economic Analysis, the ten states with the lowest combined state and local tax burden (Tax Foundation) have superior economic growth compared to the ten states with the highest burden. Between 1998 and 2017, the low-burden states outperformed the high-burden states on private sector GDP growth (139 percent vs 114 percent) and on private sector job growth (38 percent vs 24 percent). What allows other states to tax less? Lower taxes aren’t the only reason some states outperform others, but a lower tax burden is a major contributor. So, what allows some states to have lower taxes? Simply put, it’s spending. The only thing that determines how much a government taxes is what it chooses to spend. Every state provides the same basket of services (education, highways, social services, etc.) but those that do so at lower costs can have lower taxes. 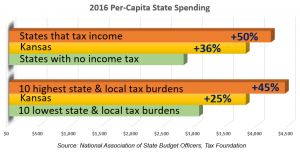 Data from the National Association of State Budget Officers shows the states that tax income spent 50 percent more per-resident in 2016 than the states that tax income. Similarly, the ten states with the highest combined state and local tax burden spent 45 percent more per-resident than the ten states with the lowest burden. Kansas spent 36 percent more than the states with an income tax, and 25 percent more than the ten states with the lowest tax burden. With a $3.7 billion / four-year budget shortfall looming, the first order of business is balancing the budget without any tax increases. A partial list of opportunities to do so follows; some may not be ideal policy but certainly worth considering in order to avoid a tax increase. — Ignore the court’s call for more funding. KSDE estimates it will cost $365 million over four years, but the compounding effect would result in a $940 million revenue shortfall. The court has no constitutional authority to appropriate money, and state law prohibits courts from closing schools. — Reverse some of the Base State Aid increases. One legislature cannot legally bind another and force spending in the future, and as explained above, courts cannot order appropriations or close schools. — Cap school district operating cash reserves, deducting excess reserves from state aid for districts above the maximum. This one-time reduction in school funding (which wouldn’t reduce money available to districts) would save $255 million if capped at 15 percent or $365 million if capped at 12 percent (based on July 1, 2017 cash balances). — One-time reduction in funding for higher education of $63 million, representing the increase in universities’ in cash reserves for unspent tuition over the last 15 years. — The 2017 audited financial report for the Kansas Turnpike Authority shows KTA had a $46 million ‘profit’ last year and finished the year with $84 million in unrestricted cash and receivables. Assessing a 15 percent royalty on KTA revenue would generate $18 million annually for the General Fund, or $72 million over the four year period. — Sell the right to collect future tobacco settlement funds at a discount. The last government estimate showed the ‘securitization’ process could generate $530 million over two years. — Expand the legislative budget process to a full-year cycle and thoroughly review opportunities to reduce costs. — Continue transferring sales tax revenue diverted to highway fund back to General Fund ($293 million currently). — Continue reducing costs to allow across-the-board reduction in tax rates for individuals and businesses. — Use a revenue trigger to reduce future tax rates, wherein any tax revenue in excess of a certain percentage growth rate is set aside to ‘pay for’ reduced rates the follow budget year. — Modify regulations that make it more difficult to start and grow a business, while preserving basic safety and health measures. — Revise state regulations that make health care more expensive and less accessible. — Reduce electric prices. Kansas has the highest electric rates in the region and the 17th highest in the nation. This is a major deterrent to attracting and keeping manufacturing and industrial employers and severely impacts low income citizens and retirees living on a fixed income. — Hold public schools accountable for improving student achievement at the building level so Kansas can produce a more qualified workforce. 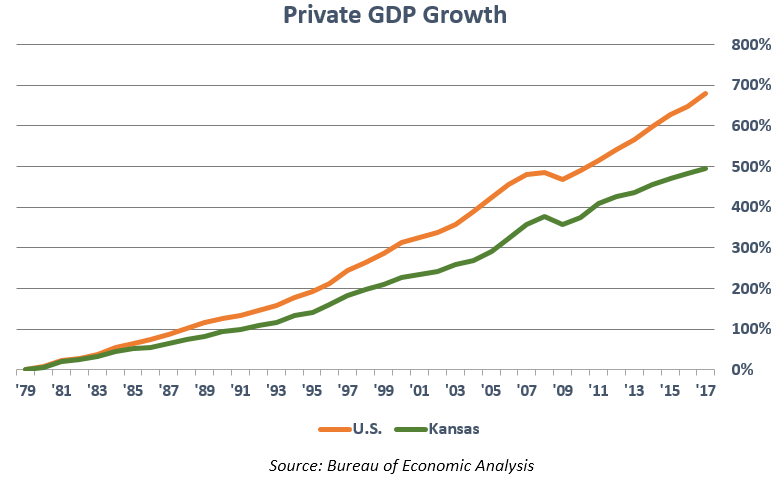 Here are some questions you might consider as you ponder ways to make Kansas more economically competitive and enhance individual prosperity. — Will tax increases lead to stronger economic growth and job creation, or will tax increases make the economy worse? 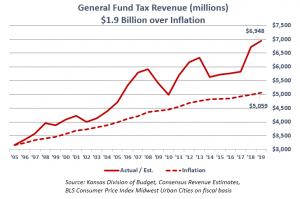 — How would you prioritize the opportunities to avoid another tax increase and reverse Kansas’ four decades of economic stagnation? And what other opportunities might you support? — Politicians love to call for more ‘investment’ in pet projects, but every dollar ‘invested’ must first be extracted from taxpayers. Should new ‘investments’ be paid for with tax increases, or by reducing other spending? — If you aren’t willing to support any opportunities to reduce the cost of government, lessen the tax burden on individuals and businesses or modify the regulatory climate, are you willing to accept the continuance of sub-standard growth in jobs and other economic measurements?